So maybe Amazon Kindles and iPads are not your thing? However, if you take your laptop with you to school, work, or when traveling and you’re looking to get some reading time in, you can easily turn your laptop, netbook, or desktop into a great eBook reader. The process is very easy and can add a sweet interface to your reading collection, rather than a folder of PDF files and Adobe Reader. The other advantage to using desktop software rather than just an app on your smartphone is that you can import other types of content into your eBook collection beyond just the books available from the big eBook stores. Adobe Reader is a great application for viewing PDF files quickly and easily. However, it doesn’t offer the best interface for organizing several items, such as an eBook collection. 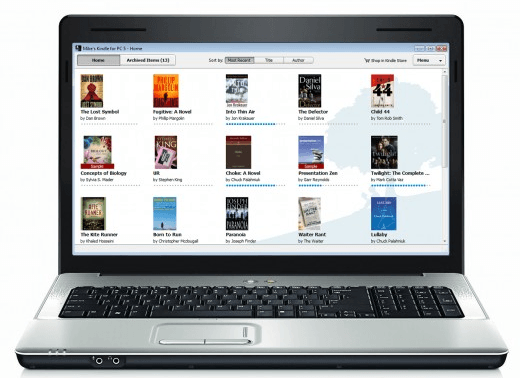 You can get the true eBook reader experience on your PC by adding some specialty eBook software. There are a couple of popular eBook reading apps that should do the job nicely: Barnes and Nobles Nook App, Amazon Kindle for PC, Calibre, iBooks and Mobipocket Reader Desktop. They are all great, free applications that offer different interfaces and features. iBooks comes installed with all Apple devices, so if you’re on that platform, it’s a no-brainer to simply use the built-in program. Mobipocket Reader Desktop offers the most customization, but hasn’t been updated since 2008. The Amazon Kindle app is my favorite because that’s where I buy most of my books from. In addition, any eBook I download off the Internet can easily be imported into the Kindle app. For this tutorial, we will be demonstrating the Amazon Kindle for PC, as it uses a unique format for eBooks and is very simple to use. Obviously, if you own a Nook, the best app would probably be the Nook app, but it only supports Windows. Upon download, launch the installer and install Amazon Kindle for PC onto your computer. If you already have an Amazon account and have purchased eBooks before, you can register Kindle for PC and import the books that you got off of Amazon. After you have Kindle for PC installed and ready to go, go ahead and double click the Kindle for PC icon to get started. 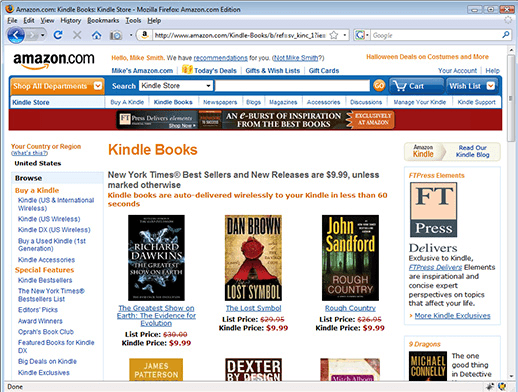 Upon startup, you will notice that Kindle for PC has a very simple interface. There are basically two screens to choose from: All and Downloaded. Any books that you have already purchased will show up under All. To download a book from the cloud, just right-click on it and choose Download. Navigate to the path This PC > Documents > My Kindle Content. This folder is where all of your eBooks for Kindle for PC are stored. If you have any MOBI formatted eBooks on your computer, go ahead and drag them into this folder and relaunch Kindle for PC. Upon doing so, the eBooks should immediately appear in your Home library. If you have PDF files, just click on File and then Import PDF. You can also create Collections in the Kindle app to organize your books. You should now be good to go with reading books. Double click your eBook to open it up. Use the arrow keys to flip to different pages. Also note, you can use the View button to change the font size. You can also jump to specific chapters and locations using the Go To button. You can change the text size, add notes, split the text in multiple columns, add bookmarks, etc. Each program has its own pluses and minuses, but the one you end up using might be determined by which store you used when you purchased your eBooks. All of the programs sync your last read page across devices, so you can easily pick up from the same place on your phone or tablet. Enjoy!